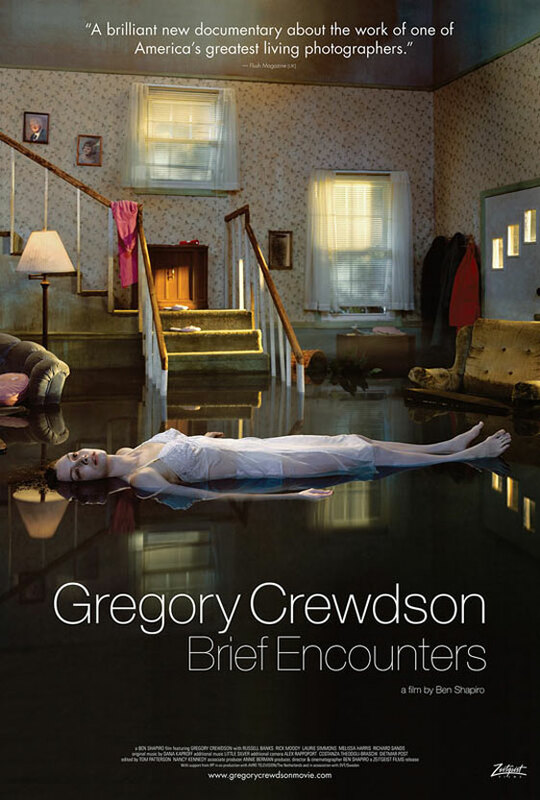 As we see in the documentary GREGORY CREWDSON: BRIEF ENCOUNTERS, when fine art photographer Greg Crewdson sets out to get a picture, it's not just a case of pointing a camera and shooting. Not by a long shot. His productions are about as elaborate as a low budget film shoot, with set builders, art directors, lighting technicians, “actors”, and fog machines. If he's not working on a sound stage and instead shooting on a real life location, most likely the street will have to be shut down, and artistic modifications to reality are not uncommon. In many ways Crewdson is more like a director than a photographer, and his work has one foot planted in surreal dark fantasy while the other is firmly set in stark documentary realism. The film was shot over about a decade during which Crewdson was working on his “Beneath the Roses” project, and it does an excellent job of showing how Crewdson's artistic process works from frustration to conception to realization. It also delves into what the meaning of these works might be without coming across as pretentious. Even though Crewdson himself denies any intentional political subtext, various outside observers make a compelling case that a definite message is nonetheless present throughout the body of Crewdson's work. As an individual, Crewdson doesn't have the same kind of compelling eccentricity of a Wayne White (subject of BEAUTY IS EMBARASSING), nor does his life involve the kind of political struggle just to create of an Ai Wei Wei (subject of AI WEI WEI: NEVER SURRENDER). 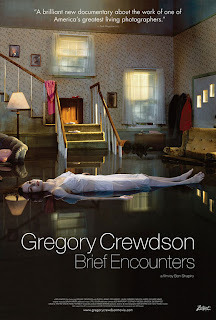 In fact, Crewdson comes across as maybe a little arrogant, but overall not that interesting on the surface. It's what surely must be going on beneath the surface that makes his art, and by extension this film about it, worthy of notice. 3 out of 4 stars.